Serge Loode is a practitioner, trainer and academic working in conflict resolution and peacebuilding. 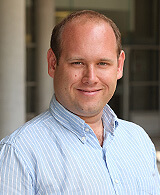 Originally from Germany, Serge worked as a civil law lawyer before developing his conflict resolution practice. He has a Master of Laws (LLM) degree in Dispute Management Law and PhD in Social Science, both from the University of Queensland. 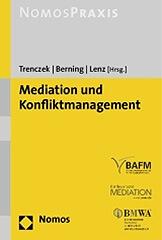 At university Serge teaches academic courses in Mediation, Negotiation and Theories of Conflict Resolution. Serge is an experienced facilitator, conflict resolution trainer and assessor, as well as a nationally accredited mediator under the National Mediator Accreditation Standards (NMAS). Serge conducts workshops for understanding conflict, negotiation & mediation skills, group facilitation, intercultural conflict resolution and leadership and teamwork. He also facilitates dialogue and strategic planning workshops. Serge has mediated workplace disputes and community conflicts and has worked with a variety of clients, including local and state government, businesses, primary and secondary schools and community groups. He regularly trains mediators and conciliators from a number of Queensland government agencies and councils.